In a new study published in the January 2016 edition of the journal Pediatrics, researchers found that attention deficit hyperactivity disorder (ADHD) stimulant medications may increase the risk of psychotic-associated side effects in children with a parent who had a history of severe mental illness. Stimulant medications are often considered the first treatment of ADHD, including methylphenidate (Ritalin), dextroamphetamine (Adderall and Dexedrine), lisdexamfetamine (Vyvanse), and dexmethylphenidate (Focalin XR). The drugs will limit inattention, impulsiveness, and hyperactivity. However, these drugs are linked with side effects such as delayed growth, reduced appetite, sleep problems, stomach aches, headaches, irritability, and moodiness. The stimulants are also associated with psychotic side effects like paranoia, mania, delusions, schizophrenia, and hallucinations. The study included 141 children and adolescents between the ages six and 21. Participants had one or both parents with schizophrenia, bipolar disorder, or major depressive disorder. The children and parents from the study were from Nova Scotia, Canada. Twenty-four of the participants had taken a stimulant drug, and nearly two-thirds of those experienced a psychotic side effect, including hearing voices, delusions, hallucinations, or perceptual disturbances. By contrast, 27.4% of people who hadn’t taken a stimulant experienced the psychotic effects. “These meds can be extremely helpful, including in kids with a family history of mental illness,” explained lead study author Dr. Rudolf Uher, an associate professor at the department of psychiatry at Dalhousie University in Halifax, Nova Scotia. Uher added that although ADHD patients shouldn’t stop treatment of stimulants, the researchers hadn’t suspected that the side effects were so common. As a result, he noted, doctors should ask children on stimulant drugs about any unusual symptoms they experience. The researchers noted that the design of the study failed to find a cause-and-effect link, and it only found a link between psychotic symptoms and stimulant drugs. In the study, around 17% of all the children were given stimulant drugs like Dexedrine, Ritalin, or Vyvanse. This included half of the subjects with ADHD. The researchers also interviewed the children to assess their drug-related psychotic experiences. The team found that the stimulants were linked with psychotic symptoms at a higher rate than previous evidence suggested. As a result, the researchers concluded that psychotic side effect risks shouldn’t be considered rare in children, and doctors should monitor teens and children on stimulants. ADHD is associated with concentration problems, learning or speech disorders, impulsiveness, frequent tantrums, short attention span, restlessness, impaired memory, and failure to complete age-appropriate tasks. It is one of the most common conditions of children in the U.S. ADHD affects about 10 million, or five percent to 15% of school-aged children. 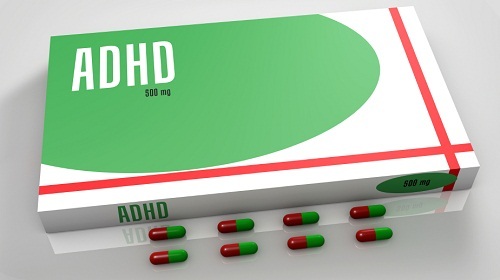 Natural alternatives to ADHD drugs include pycnogenol, L-carnitine, calcium and magnesium complex, fish oil, phosphatidylserine, a probiotic, vitamin B6, zinc, GABA (gamma-aminobutyric acid), B-complex, and passionflower. A 2009 study published in the journal Appetite also found that drinking water before a test would result in greater happiness and better attention span in first graders. Homeopathic remedies can also treat ADHD, including anacardium orientale, hyoscyamus niger, medorrhinum, stramonium, tuberculinum, sulphur, and tarantula hispanica. MacKenzie, L.E., et al., “Stimulant Medication and Psychotic Symptoms in Offspring of Parents With Mental Illness,” Pediatrics, 2016; http://pediatrics.aappublications.org/content/early/2015/12/29/peds.2015-2486. Mozes, A., “ADHD Meds May Raise Risk for Psychotic Side Effects in Some Kids: Study,” MedicineNet.com, December 30, 2015; http://www.medicinenet.com/script/main/art.asp?articlekey=192799. Balch, J., et al., Prescription for Natural Cures: A Self-Care Guide for Treating Health Problems with Natural Remedies Including Diet, Nutrition, Supplements, and Other Holistic Methods (Hoboken: John Wiley & Sons, Inc., 2004), 66-72. Murray, M., M.D., et al, The Encyclopedia of Natural Medicine (New York: Atria Paperback, 2012), 340-347. Rakel, D., et al., Integrative Medicine: Third Edition (Philadelphia: Elsevier Saunders, 2012), 43. Boorady, R., “Side Effects of ADHD Medication,” Child Mind Institute web site; http://www.childmind.org/en/posts/articles/2012-2-7-side-effects-adhd-medication, last accessed December 30, 2015. Edmonds, C.J., et al., “Does having a drink help you think? 6-7-year-old children show improvements in cognitive performance from baseline to test after having a drink of water,” Appetite, 2009, 53: 469-472, doi: 10.1016/j.appet.2009.10.002.Epub.2009.